Our new shop is ready to offer you our well-known sweets. 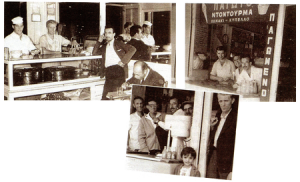 We are waiting for you at the center of Thessaloniki in 24 Mitropoleos str. Tel. 2310-221655. Welcome to the magical journey of sweet recipes which take you back in time. We wish you a pleasant and “sweet” tour through the paths of our web site. Attention to detail in the preparation, preservation, storage and distribution of our products. Consistent quality of our products and services. Careful check of raw materials. Special caution in the areas of cleanliness and hygiene. Proper and fast customers’ service. 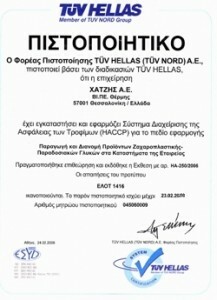 CHATZIS SA Company has been certified by TUV HELLAS for its services and products.